Looking for a job in Blair County Pennsylvania? The following is a directory of Blair County PA top employers with direct links to the jobs they offer. This directory includes local city job links as well as the larger job posting boards. Only sources that have job listing pages, business directories, and/or legitimate human resources contact listings are provided below. 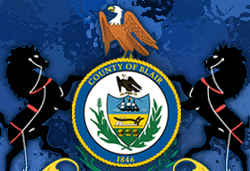 Blair County Pennsylvania provides employment information for how to apply for jobs with the county. From the home page there was a link to job openings for Caseworker, Victim Advocate, Clerk Typist, and Custody Processor. Blair County Chamber of Commerce is a great resource to use for exploring area businesses, economic climate, workforce information, cost of living, and more. City of Altoona had job openings for Police Officer and School Crossing Guard on this review date. Check for current listings. Antis Township periodically posts open positions when vacancies exist. Logan Township periodically lists employment opportunities. The Township of Logan is the second largest political subdivision in the County of Blair. Altoona Regional is a charitable, not-for-profit health care system. The hospital is licensed for a combined 380 beds. Here you'll find job openings such as Registered Nurse RN Operating Room, Radiographer, MRI Tech, Clinical Pharmacist, Registered Nurse Surgical Progressive Care, Registered Nurse Medical Progressive Care, Clerk Phlebotomist EKG Tech, Registered Nurse Acute Dialysis, Nursing Assistant, Triage & Referral Nurse, Unit Secretary, Registered Nurse Maternity Nursery, Scheduling Secretary, Nursing Assistant Med Surg, Medical Assistant, Registered Nurse Perianesthesia RN, Drug & Alcohol Counselor, Registered Nurse - Neuro/Stroke ICU, Hostess Diet Clerk, Environmental Services Assistant, Staff Physicial Therapist, Crisis Counselor, Registered Nurse Medical Progressive Care, Registered Nurse Med Surg Pediatrics RN, Cert Respiratory Therapy Tech, Mental Health Worker, Psychiatric Rehabilitation Worker, CRNA, Unit Secretary Med Surg, Pharmacy Technician, Environmental Services Assistant, Licensed Practical Nurse LPN Medical Progressive Care, Surgical Technician, and Occupational Therapist. James E. Van Zandt VA Medical Center provides challenging and rewarding careers for healthcare professionals with great benefits and advancement opportunities. The VA is a technologically advanced healthcare system driven by a team of compassionate professionals with the aim of providing veterans and their families the best possible care. Nurses and Mental Health Professionals will find there are job opportunities available throughout the country. HealthSouth Rehabilitation Hospital of Altoona is an 80-bed inpatient rehabilitation hospital that offers comprehensive inpatient and outpatient rehabilitation services designed to return patients to leading active and independent lives. During review there were open positions available for Physical Medicine and Rehabilitation Physician Altoona, Full-time Registered Nurse, Speech Pathologist Per Diem, Case Manager Per Diem RN, Registered Nurse part-time, and Central Supply Clerk. Home Nursing Agency believes in hiring only remarkable employees who deserve the region's most competitive wages and benefits for themselves and their families. Open positions found had included Registered Nurse Home Health PRN (Blair County), Caregiver PRN, Psychiatric Rehabilitation Specialist, Driver PRN, Psychiatric Rehabilitation Worker, Systems Analyst Associate, Healthcare Account Representative, LPN Pediatrics PRN, Registered Nurse Case Manager, Occupational Therapist, and Physical Therapist PRN. Maybrook Hills is a premier provider of a full range of skilled nursing care and rehabilitative therapy. Elmcroft of Altoona is a personal care community that provides senior living options for seniors. The Altoona Area School District encompasses 60 square miles and includes the city of Altoona, Logan Township, Tyrone Township #2, and parts of other smaller townships. Employment opportunities found included Chemistry Instructor, School Police Officer, Special Education Aide, Custodian / Laborer Substitutes, and more. Bellwood-Antis School District was hiring Daily Teacher Subs at $80 per day; All certifications: Elementary, Secondary, Special Ed. Additional support staff employment may include Aides, Cafeteria Workers, Custodians, Greeters, Maintenance and Secretaries. Raystown Transit Service was looking for School Bus & Van Drivers for the Bellwood-Antis School District. Claysburg-Kimmel School District had employment listings for teachers, 5 hour cafeteria workers, elementary paraprofessional jobs, and assistant varsity wrestling coach. Hollidaysburg Area School District provides employment instructions for teachers, substitutes, and support staff. Penn Cambria School District was hiring for the positions of substitute food service workers, custodial staff, secretaries, teachers, aides, and RN/LPN's. The site provides information regarding applying for various types of employment with Penn Cambria School District. Spring Cove School District had employment listings for Cafeteria Worker, Paraprofessionals, Anticipated School Police Officer, Custodial Substitutes, and Assistant Wrestling Coach. Check for updates. Tyrone Area School District was hiring for the positions of Substitute Teacher, Middle School Paraprofessional, Daycare Paraprofessional, and After- school Daycare Paraprofessional. Penn State Altoona employs more than 600 faculty and support staff. South Hills School of Business and Technology faculty and staff enjoy the benefits and advantages of working in a smaller setting that enables them to know each other on a personal level and encourages team building that ultimately enhances the quality of service. YTI is a private post-secondary institution of higher education which periodic employment listings for instructors and support staff. The City of Altoona was accepting applications for the position of Police Officer. Please see their Facebook page for announcements. Make sure you are dealing with reputable companies before applying. The Altoona Craigslist had job postings for positions such as Accounts Payable Clerk, Cleaning Janitor, ER Travel RN, Painter, Teacher, Caregiver, Cath Lab Registered Nurse, Truck Driver, Delivery Driver, Housekeeper, Caregiving Jobs, Work from home jobs, Automotive Technician, Commercial Cleaner, Landscaping Jobs, Home Health Aide HHA, Construction Laborer, Handyman, HVAC Technician, Roofer, Customer Service Representative (Altoona), Sales Representatives, Server, and Classroom Aide.